Conflicts between bosses and employees upset everyone. I know because I’ve been in both positions. I’ve experienced firsthand the tension, discomfort, and frustration that stem from unresolved issues. That’s how I know all conflicts must be addressed, no matter how awkward or difficult those conversations may seem. Problems don’t go away until they’re solved, and ignoring them makes them worse. Even if you enjoy a great relationship with your boss, don’t rush headlong into a meeting about your problems. 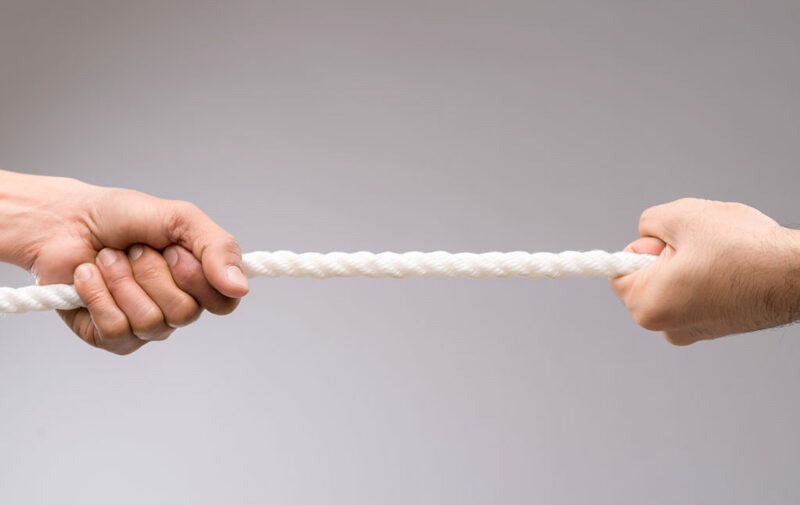 Productive conflict resolution begins with understanding why the issue arose. Lack of clarity often lies at the heart of most conflicts. Reflect on where the problem started and identify any miscommunication that occurred. Not only will this help you avoid problems in the future, it will also create a good starting point for dialogue when you sit down with your boss. A lack of transparency also causes friction in many organizations. You’re well within your rights to ask for more information, but try to see the bigger picture. Maybe what you interpret as opaqueness is really just the result of them juggling any number of decisions and responsibilities. Coming to the conversation empathically is far more effective than angrily demanding answers and explanations. When colleagues begin whispering about potential layoffs or budget cuts, don’t give in to the fear-mongering. Schedule a meeting with your boss and ask them for answers directly. They may have a perfectly reasonable explanation, and they’ll appreciate that you were forthright instead of perpetuating rumors. Time is the currency of all relationships, including professional ones. Seek opportunities to get to know your boss, whether that’s volunteering for a project or prioritizing company events where you’ll get a chance to chat in a more casual setting. The stronger your rapport, the easier it will be to work through conflicts and strengthen the relationship. You’re also less likely to be rattled by gossip if you regularly have candid conversations with your boss. Depending on your position in the company, you may need to work hard to get on their radar. 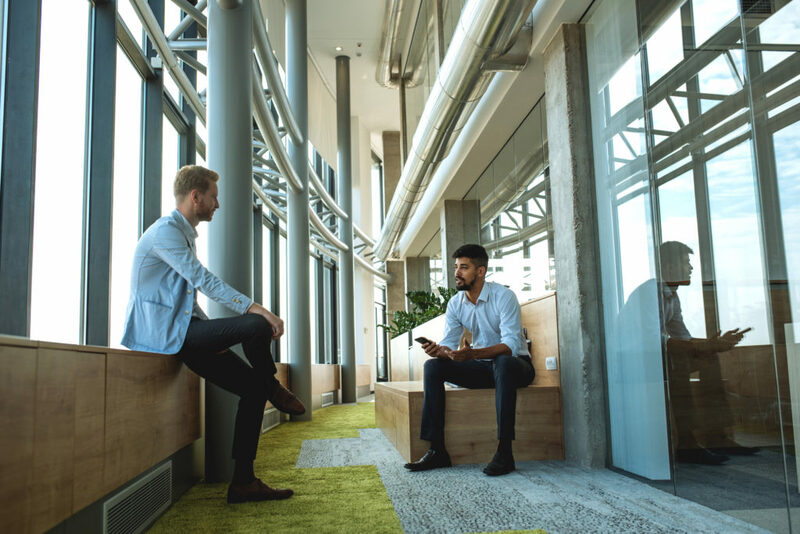 But once you do, make a point of stopping by their office, pitching them ideas, and following up on previous conversations to stay top of mind. If you get the chance to work closely with your boss, take it. Nothing bonds people more than working toward shared goals, and you’ll gain a great deal of insight into their personality and leadership style. You’ll then be better equipped to empathize with them and diffuse problems before they begin. More importantly, you’ll trust your boss, which makes you less susceptible to rumors and petty aggravations. When you do run into conflicts with your boss, a change of scenery can do wonders for gaining perspective. Meeting in their office or a conference room can keep you stuck in formal or negative patterns. Invite your boss to talk over coffee or lunch instead. The new surroundings will help you see one another as individuals rather than “boss” and “employee”. This fresh lens may inspire creative solutions to your conflict and spark a new interpersonal dynamic that will help you work together more effectively in the future. Sometimes you meet a new boss and it seems like you’ve known one another forever. You find your groove with them quickly, and you enjoy an easy, even friendly, dynamic. Other times, the relationship requires more work. You often feel as though you’re speaking different languages, and you simply don’t know how to connect with them. Those situations call for some serious self-awareness. The better you know yourself, the better you’ll be able to see how your personality complements or conflicts with your boss’s. Recognizing that you have different modes of relating to people will help you approach your boss with an open mind. Instead of complaining about the lack of vocal approval, you can come up with a feedback system that works for you both. The important thing is that you’re communicating and working with one another instead of simply complaining that you can never get through to them. Seek out ways to get consistent and productive time with your colleagues and your boss. You might even suggest a weekly huddle to your supervisor. Tell them you can do a trial run of a few weeks and see how the team responds. Work up a proposed schedule beforehand so they can envision what you have in mind. I find that giving people an opportunity to voice their concerns and struggles helps us all. When workers aren’t afraid to tell their bosses they’re having problems, supervisors can step in to offer guidance. Bosses love to help. They want their teams to succeed. And they don’t want to waste time arguing with employees when an issue has spiraled out of control unnecessarily. Your best bet is to understand what your boss most cares about. Is it the number of units sold? Number of leads converted? Dollar amounts on new contracts? Find out your boss’s big win and help them achieve victory. As long as you do that, you will almost never find yourself in conflict with them — at least not over your job performance. You may disagree with their management styles or experience personality clashes, and those are much bigger (and potentially unresolvable) issues. But if your goal is to maintain a positive, professional relationship, helping them get that win is a surefire strategy. We all get fired up from time to time. When a coworker insinuates that your boss is upset with you or you feel your manager snubbed you in a meeting, it’s easy to ride that wave of anger and adrenaline right into their office. But before you rush off to confront your boss, take a few deep breaths. Go for a walk to let off steam, and compose your thoughts ahead of the meeting. Your boss will interpret aggressive, accusatory language as threatening and disrespectful, and that will only hurt your case. Even if you had a legitimate gripe to begin with, you weaken your position by yelling and hurling insults. When possible, wait at least a day before talking about hot-button issues with your boss. You don’t want to let the issue fester, but even a few hours can be enough time to cool down and see things from their perspective. Talk with your spouse or a trusted friend to get their take. Maybe you’re being a little unreasonable or misinterpreted the situation. Time and feedback can make all the difference to how the conflict plays out. If you routinely struggle to keep your feelings in check, you may need to improve your EQ (emotional intelligence quotient). Employees with high EQs can easily tune into other people’s emotions, are receptive to constructive feedback, and have an easier time relating to their managers and peers. Journaling, meditation & prayer, and even participating in a course on self-awareness may help improve your relationships at work. Approached correctly, conflict resolution is a study in humility. The Bible reminds us over and over that “God opposes the proud but shows favor to the humble” (James 4:6). Jesus was the ultimate example of true humility. Even if you are in the right, you must put yourself in your boss’s shoes and empathize with their position. You must also recognize that you played a role in the conflict. More often than not, both parties carry some responsibility for the issue. Acknowledging your shortcomings is a humbling exercise if ever there was one. You may occasionally find yourself in situations where you are being treated unfairly, and you may have bosses who refuse to admit wrongdoing. That, too, is humbling. It’s frustrating when your grievances go unrecognized, especially if you end up penalized in some way as a result of the conflict. Those are the moments when you must remember that your work is worship. Offer your anger and pride up to the Lord and ask Him to bring grace into your heart. Pray about the situation and seek wisdom in it. There are always lessons to be learned if we are open to receiving them. Unless your boss’s offense was so egregious that it would go against your morals to continue working for them, make a peace offering once the strong emotions have settled. That can break the ice and foster conversations about growth and change in the relationship. Jesus says in Matthew, “Blessed are the peacemakers,” and this is why. Being the bigger person is challenging, but it leads you to a place of deeper fulfillment and understanding. Whether or not you agree with your boss’s decisions, move on and focus on the things you can control. How your company spends money or which clients it pursues may be out of your hands. But you can decide to show up with a positive attitude and a willingness to work hard. You can choose to pursue new opportunities to learn, to cultivate strong relationships with your boss and your team, and to work to the best of your ability. Those actions will raise your esteem in your boss’s eyes, and you may achieve different outcomes in the future. Remember, too, that conflict resolution can take time. Just because your boss doesn’t come around in the first meeting doesn’t mean all is lost. Continue to show up with an open mind and a sincere heart, and you’ll find that opportunities for improving the relationship will reveal themselves over time.